Looking for a nice living plant gift that’s not too expensive? Something interesting and yet low maintenance? Go no further! 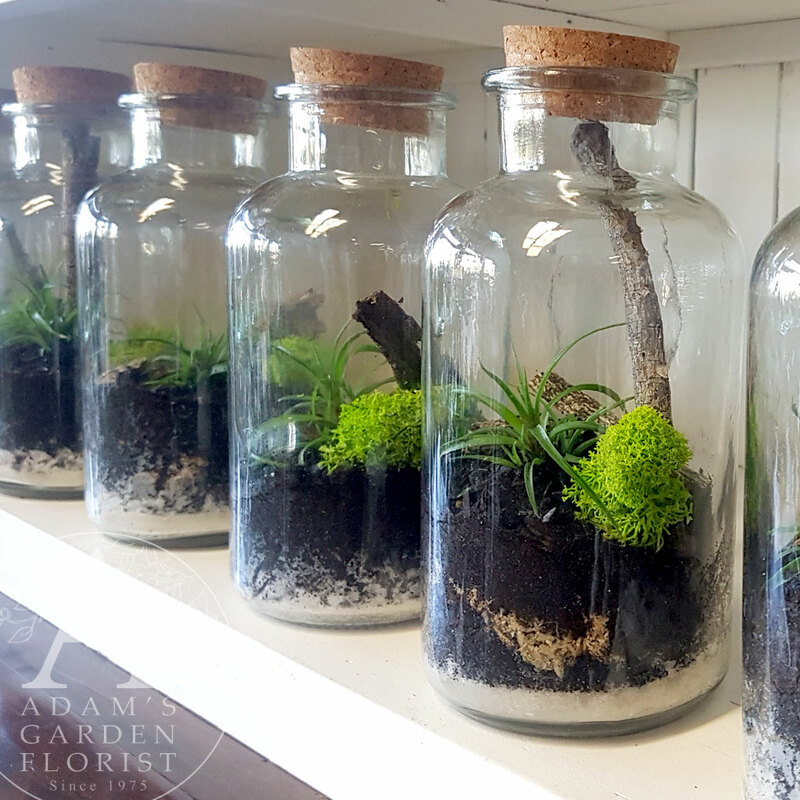 Currently we have these very cute little cork-top bottles featuring a tillandsia cynea with arty bark and moss. Available for delivery Gold Coast most areas, or pick up from our Parkwood shop.